This Online Alumni Tracer aims to track professional performance of graduates of Sacred Heart College with regard to the relevance of their skills and training acquired from the school and to maintain a closer relationship with our alumni, including those who are residing at the different parts of world. 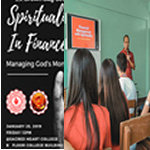 Your honest response to this online form will greatly help in our goal making Sacred Heart College education truly responsive to its vision and mission. All data will be treated with confidentiality. What have you learned in Sacred Heart College that you apply right now in your current job? In your present job, what knowledge and skills do you still need to learn that you did not learn in school? Are there areas/aspects in your course/field that need to be strengthened or enhanced? As Cordian-Vincentian graduate, share your experiences in what way was Sacred Heart College able to contribute to who you are today? Thank you for your time and please don't forget to follow us on Facebook and Twitter!